Or how about we try “When you give a picnic, it’s a picnic”? The Lady from Shanghai is as surreal as one-liners like these make it sound. Welles is at his strangest and his most brilliant when spins this hallucinatory noir tale about a straight-shooting Irish sailor who gets himself into an indecipherable web of seduction, murder, and deceit. Rita Hayworth plays the femme fatale, Elsa Bannister, who Michael O’Hara (Orson Welles) spots riding a carriage in Central Park. He is hooked immediately and offers her his last cigarette, but she wraps it up and puts it in her bag saying that she doesn’t smoke. After he improbably fights off a band of ruffians bent on kidnapping her, he picks up her bag and smokes his own cigarette. There’s a gun in her bag. He asks her why she didn’t use it. She replies, “I meant for you to find it.” Already, nothing is making any sense. There’s a plot in the air, but O’Hara can’t stop himself. Roped into working on a yacht with Elsa and her husband Arthur (Everett Sloane), a criminal lawyer he detests, Michael meets George Grisby (Glenn Anders), an even more detestable character who offers him five thousand dollars to murder himself, George Grisby. Something is fishy, but the plot keeps unraveling, leading to a furtive meeting in an aquarium and a hall of mirrors shootout in a Chinatown amusement park. Oh, did I mention that the film has a shootout in a hall of mirrors? 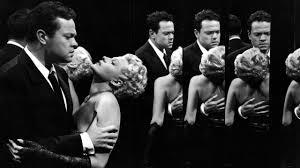 THE LADY FROM SHANGHAI screens Friday and Saturday, May 29 and 30, at 7:00 and 9:00, and Sunday, June 1 at 5:00 and 7:00. Advance tickets are $8.00, and you can purchase them here. 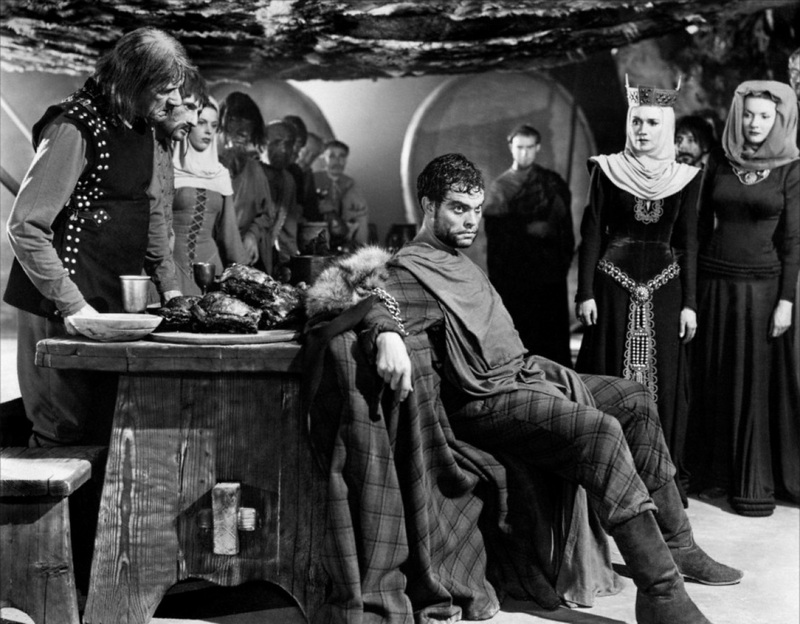 The shortest and bloodiest of Shakespeare’s plays got the Hollywood treatment a number of times over the years, but Macbeth never so closely resembled a horror film as it does in this 1948 production. Welles, wild-eyed and brooding, is brilliant as the nobleman told by three witches that he is destined — or perhaps doomed — to become king. 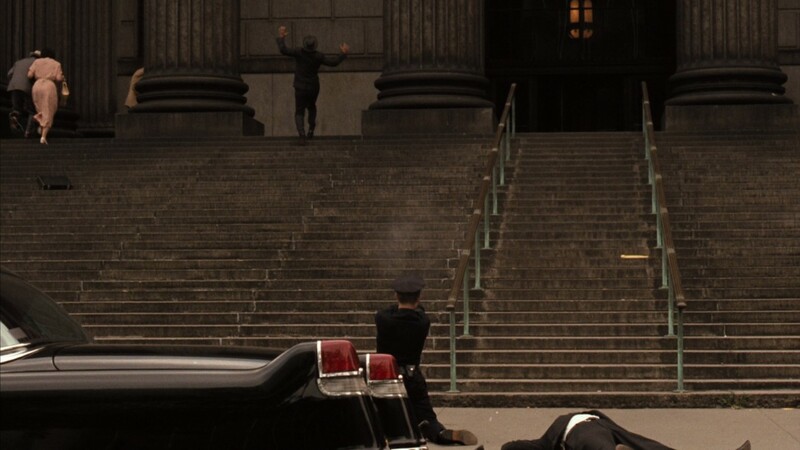 The film’s low budget is obvious but Welles works around his financial limitations cleverly; the expressionist sets and arch camera angles are unsettling (it’s never entirely clear at any point whether we’re indoors or outdoors), and all the walls we see are of barren stone that might be within an ancient castle or out against a looming cliff wall. 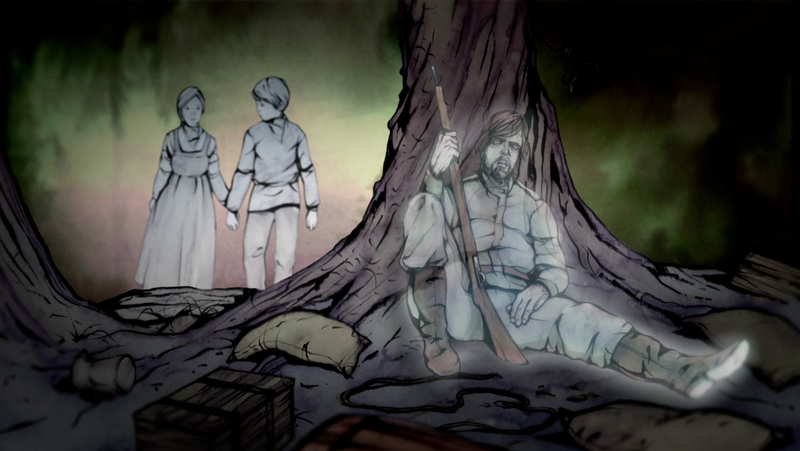 The eerie sound design and nightmarish visuals evoke the barren, empty world that Macbeth has created for himself. It shouldn’t surprise anyone that an arty, surreal experiment like this would crash and burn at the box offices of 1948. But the film’s reputation has grown over the years, and it’s regarded today as one of the best screen versions of any Shakespeare play. 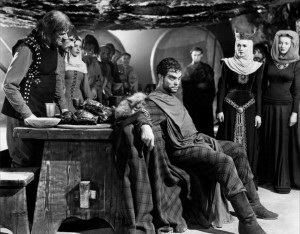 MACBETH screens at the Trylon on Monday and Tuesday, May 25 and 26 at 7:00 and 9:00. Advance tickets are available, and you can purchase them here.